Hooray! It's the most wonderful time of the year... Giveaway Day! Thank you for visiting Daydreams of Quilts. You can learn more about me, my quilts and where I live here. Country Clothesline has given me a fun opportunity to create my very first blogger bundle which they have generously sponsored for you to enter to win. 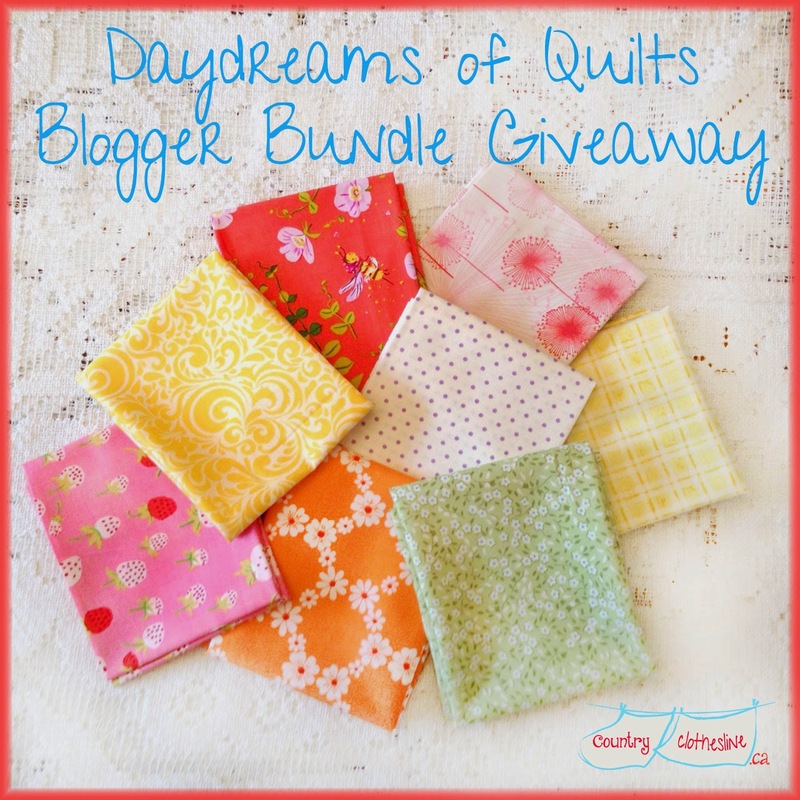 I present to you the first ever Daydreams of Quilts Blogger Bundle!!! (I'm just a little excited about this, can you tell?) Country Clothesline is an online quilt shop in Toronto Canada with a carefully curated collection of beautiful fabrics.